NextHome Capital Realty is kicking off a fun year of events with the 3rd Annual Shamrock Shuffle 5K Race and Fun Run on March 25, 2018 starting at 11:00 a.m. at the Hampden Township Recreation Building at 5001 Hampden Park Drive Mechanicsburg, PA 17050. All proceeds go towards the construction of The Captain Leon Veterans Memorial. More information about the race can be found at ShamrockShuffle5K.org or by contacting Michael Pion at mpion@nhcapitalrealty.com. The 8th Annual HTVRC Golf Fundraiser will be on September 14, 2018 at the Armitage Golf Course at 800 Orrs Bridge Road in Mechanicsburg, PA 17050. The format is a team scramble with a shot gun start at 12:00. All proceeds go towards construction of the Captain Leon Lock Veterans Memorial. For information on how to participate, or to sponsor, contact Gary Coburn at glcmech01@verizon.net. Join us on March 19th at 6:00pm as the Hampden Township Veterans Recognition Committee and VFW Post 7530 (Lower Allen) dedicate a point of remembrance at the Hampden Township Veterans Park in honor of those who served in Operation Iraqi Freedom. The point of remembrance is sponsored by VFW Post 7530. On behalf of our community, the HTVRC thanks VFW Post 7530 for their support in fulfilling our mission to honor all veterans past, present, and future. 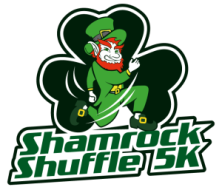 The 4th annual Shamrock Shuffle 5K and Fun Run is back and promises to be better than ever! Join us for an exciting race followed by complimentary brews from Pizza Boy Brewing and performances by the McGinley School of Irish Dance. The Shamrock Shuffle is an event for the whole family! Proceeds from the Shamrock Shuffle 5K will be donated to the Hampden Township Veteran’s Recognition Committee to aid in the construction of The Captain Leon Lock Veterans Memorial. Join HTVRC and the Harris Ferry Chapter of the Sons of the American Revolution to commemorate the anniversary of the start of the American Revolution which began on April 19, 1775. The ceremony will take place at the Hampden Township Veterans Park at the Revolutionary War Point of Remembrance.